What better day to launch an awesome update than on the day Rovio releases Angry Birds Space. 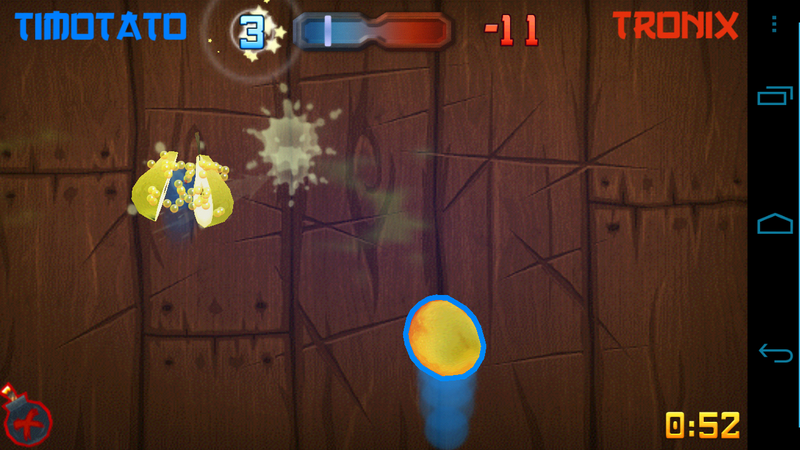 The paid-version of Fruit Ninja has been updated in the Google Play Store to allow for multiplayer action. Once you find a foe, you go head-to-head swiping at fruit that matches your color. It’s a ton of fun and as you can see from the screenie above, this guy had no idea how to play and kept swiping my fruit resulting in many penalties. If you’re a ninja, then be sure to pick up this update.